Anyone who knows us (mostly Sarah actually) knows there is some massive Anglophilia at the Geeks Who Eat Headquarters. From Harry Potter to Steak and Kidney Pie, if it’s British it’s getting some love! So when we had the opportunity to interview Stu Henshall, it didn’t matter that he was on the Great British Bake Off (though that’s cool as all get out), the fact that he was British and willing to do an interview (unfortunately, we didn’t think to Skype… Next time!) Sarah was beside herself. Stu Henshall has spent the last 15 years working as professional musician who has had the good fortune to tour the world with his bands Black Futures and before that Subsource. He has written music for TV and video games, contributed to a number one album and even had a documentary made about him and his fellow band mates’ journey on the road. The Alternative Kitchen was set up to exercise Stu’s third love along with family and music… FOOD! Stu’s passion for food has been growing ever since he was a kid bringing home the spoils of home economics lessons and went into overdrive when he moved away from his mum’s dinners and started having a family of his own to feed. Since beating tens of thousands of applicants and featuring on the UK’s most watched program of 2015, The Great British Bake Off, The Alternative Kitchen is now spreading further than ever. From bespoke catering to going into pre-production for a web series as well as talks and demos around the country, 2016 is set to be another corker. I grew up on a farm that my parents had and they ran a restaurant in the evenings. My diet was varied but often included left over crème brulee and off cuts of meat cooked into amazing stews but it wasn’t until I moved into my own place away from my mum’s cooking that I realised my diet was going to be pretty beige unless I got to grips with a few basics. The last 10 years have been food obsessed spattered with triumphs and disasters alike. How did you discover that you liked to cook and bake? Feeding people and seeing the joy they get from my food was addictive. I love to create so whether it’s a tune or a plate of food there is something deeply satisfying to presenting something to people to enjoy is the thing I thrive on. Haha. No. I would love to. When I get some time off I fancy doing some butchering courses. There is so much to learn which is slower by yourself but it’s more exciting. What is your favorite thing to cook/bake? I love making bread. I’m a pretty laid back person but I think this is only the case because of either terrorizing a crowd on stage in my old band but now the meditative act of kneading bread. My nirvana is yeast based for sure. Are there any foods you hate to cook/bake? This is going sound a bit odd being mostly known for being on Bake Off but cakes wind me up. My sister is amazing at sugar craft and the like but I’m definitely all about flavour over finesse. I am much happier slow roasting joints or making pies. Some people say it is easier to cook than bake, do you find this to be true? Why or why not? Absolutely true. There is finality to baking, a no going back point where you put something in the oven and wait and see. High end stuff no, but cooking a tasty plate has a margin for manipulation where you can veer a dish to tasting how you like. Writing a baked recipe requires a little more patience, inherent knowledge, and time. Who has been most influential to your culinary background? In terms of TV chefs it has to be Floyd. His shows felt pioneering, inclusive, and a bit dangerous. He was ace. I adore people like Ottolenghi and fusion cooks who bring in middle eastern spicings and ingredients that are not so ingrained on our palates. I find that stuff really exciting. You have a musical background, did the love of performing impact your decision to compete on the Great British Bake Off? Definitely. A quick search of my name will show me surfing across crowds and generally being a menace on stage. Bake Off is a different camp altogether. I decided to make a call to pursue food and take a back seat from the sort of performing I was doing. I’ll be back out there doing something in the future but loving working on food and writing in the studio instead for artists and film based music. What was the experience of competing on The Great British Bake Off like? Would you do it again? It was immensely stressful leading up and including my time on the show. I was a massive fan and had been pestered to apply even though my love of food was much wider than just baking but didn’t think I would end up in the tent. Then the calls started, and the auditions, and after a few months it was on. If I had my time again I might have played it safer but my recipes I had written were always from the stand point of being a bit different. If they thought beetroot was odd it was only going to get stranger. That said, the team are amazing and I absolutely love the other bakers and we speak almost every day. What projects are you currently working on? Can you tell us more about the Alternative Kitchen? It is very exciting at the moment. 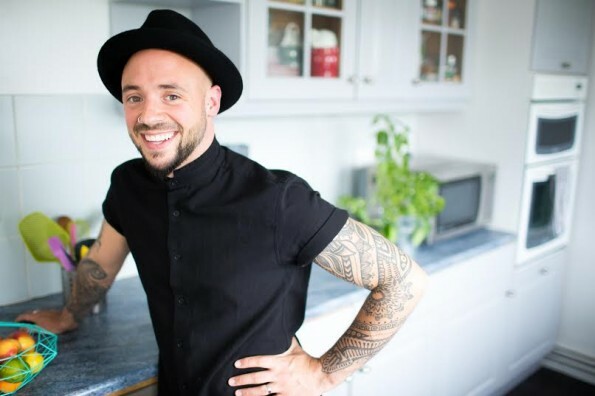 My website www.thealternativekitchen.net is doing amazingly well showcasing some of my recipes where I take different dishes on a bit of a journey and I have just filmed the pilot for series which incorporates my recipes with chatting to celebrity guests. I had Rufus Hound on the first one and he was hysterical. Plus he loved the food which was a bonus. Over the next few months I will be loading up a new series of recipes as well doing demos around the country and setting up production for the rest of the series. Now, Jamie is a legend. I really can’t stress my admiration for the dude but one thing that bugs me is he always says “Don’t waste your time peeling garlic, just whack it in your crusher,” but I can only think this is because he has someone else doing the washing up. Cleaning a crusher stuffed full of garlic skin is a proper hassle. My tip is have a smallish Tupperware. Top and tail your garlic clove, whack it in, shake, and there you have your peeled garlic. It’s like the world shittiest magic trick, but a deeply satisfying one. Do you have any advice for someone who wants to compete in a reality television cooking/baking competition? Just do it. If you make it to the show shows you are good enough. The pressure is something you can’t prepare for but you don’t know unless you try. We want to thank Stu for taking the time to talk to us! We are really excited for the pilot of The Alternative Kitchen (hopefully we will be able to watch it on this side of the pond)! You can follow The Alternative Kitchen on Facebook, Twitter, Instagram, and Pinterest! Do you have questions for Stu? Leave them in the comments below or use the hashtag #GeekEats and we will try to get them answered for you! A perfect combination of middle eastern sweet flavours in a smooth almond frangipane. Underpinned by sweet fig jam on a buttery base. 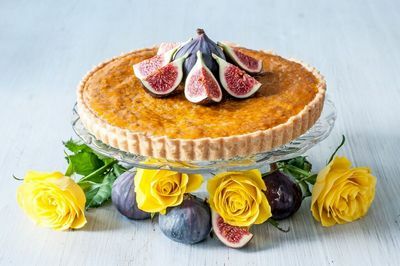 Follow [http://bit.ly/1V8uajL] for pastry recipe or use ready rolled shop bought sweet shortcrust pastry and line a greased loose bottom pie tin. 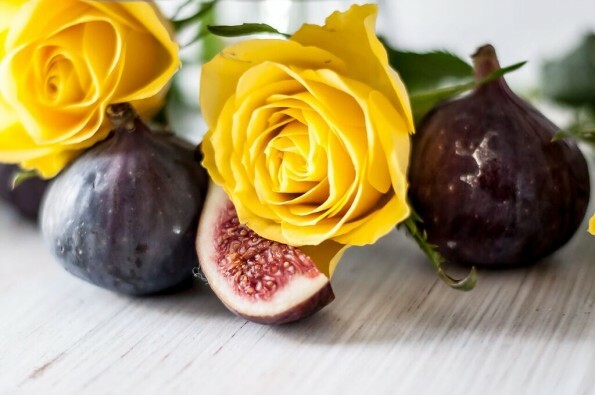 Add sugar and figs to a heavy based saucepan and bring to a boil and then reduce for 10 minutes until a syrup has formed. Pass through a sieve and leave to cool then fill pastry case. Gradually add eggs, then almonds, extract, rose water and orange blossom. Using your fingers pinch small amounts of the mixture and cover pastry case leaving no gaps for the jam to escape. Bake in the oven for 50 minutes. Leave to cool and then decorate before casting decorations aside to destroy!